This kit includes all the decals General Motors applied to these muscle cars when they were new. Distinguish your muscle car by outfitting it with the correct decals. The Formula is a very highly regarded sports car. Don't let your Formula lack the very important, highly recognized "FORMULA" names! If you are unsure what color combination is correct for your vehicle; our technical hot-line will be happy to assist you. 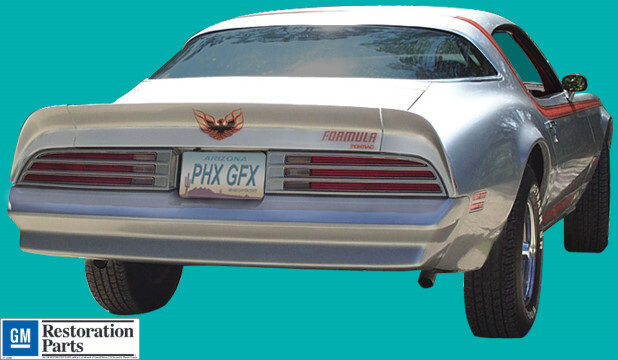 Combine with 1976-78 Firebird/Formula Over Roof D98 Decal and Stripe Kit and Save!